Helen from Lola’s Secret Beauty Blog tells all! She shares her luxury skincare must haves; the items she repurchases again and again. Find out what she keeps on her vanity. Clumps of Mascara – Some of you have mastered everything in the makeup brushes world and then there are others of us who still don’t know what the heck we’re doing. EauMG – OK, so you guys are correct. Elizabeth & James Nirvana Bourbon is a really great perfume. fanserviced-b – The Ordinary is one of the hottest brands in skincare due to offering science-backed, affordable formulations; here are 7 similar skincare brands that I think make better products. Gouldylox – Lately, I’m all about L.O.C.’ing my skin to keep the dryness away. If your skin is uncomfortable, try this with your existing skincare and you’ll be surprised at the difference it will make! My Beauty Bunny – I’m getting ready for my vacation in Hawaii with this natural beachy makeup look using 100% Pure! 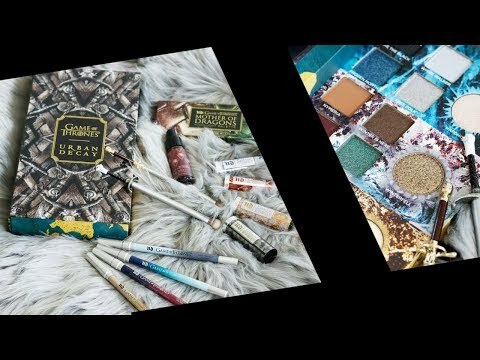 Nouveau Cheap – Just in time for the Sephora VIB Sale, Sephora has released new Sephora Favorites value sets (with some that are exclusive to Sephora inside JCPenney locations). Check them all out here. Phyrra – Thinking about making the switch? I share my Top 5 Tips for Going Cruelty Free! They make it easy! Prime Beauty – Multi-Masking is the latest skincare craze. Keep your skin in shape effortlessly with the new Nügg Beauty Mask Subscription Box! we heart this – Have you seen the MAC In The Flesh x 15 eye palette (that’s 15 shadows, btw)? Stef has crowned it her favorite eye shadow palette in YEARS! Blushing Noir – Check out the brands that are the best at bringing you the hidden gems in affordable makeup brushes! Clumps of Mascara is Currently Craving: The new Sonic Foundation Brush by Clarisonic is so intriguing! I’m a powder foundation user so I’d love to see how that baby works. Question of the Week: Are you plotting an order for the Sephora VIB Sale? If so, what’s on your list? Answer – I’ve got my eye on the Kat Von D Rock Candy Studded Kiss Lipstick set, the Smashbox Camera Ready BB Cream, the Hourglass Illusion Hyaluronic Skin Tint, and the Stila Magnificent Metals Diamond Dust.